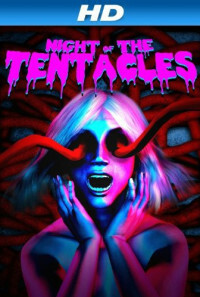 This is the Night of the Tentacles! In this obscene Faustian tale a young artists sells his soul to Satan for the new heart he so desperately needs. The only catch is that the heart is a tentacled monstrosity with a hunger for human flesh! Will Dave get the girl of his dreams? Will he run out of neighbors to feed his infernal heart? Will Delilah ever finish urinating? Find out in NIGHT OF THE TENTACLES!!! Regions are unavailable for this movie. Click the "Watch on Netflix" button to find out if Night of the Tentacles is playing in your country.